Toned muscles need some TLC too. Bodybuilding is a misnomer. That’s why bodybuilders say that bodybuilding doesn’t simply stop suddenly when you have achieved the body you want. Bodybuilding is also not just about building muscles, it’s also about recovery and nutrition. If you don’t balance bodybuilding, nutrition, and recovery, your strength training wouldn’t get anywhere. Building muscle mass is all about muscle hypertrophy. You build big muscle mass through hypertrophy simulation, which means that you’re building more muscle mass than what your body actually needs on a regular basis. That’s why your body is keen in evening out your muscle mass development when you no longer do strength training, because the stimulus is no longer there. If you don’t want to lose your lean muscle mass to fat and atrophy, here are 4 tips to maintain muscle mass. I hate to state the obvious, but the main cause why people lose muscle mass is because they suddenly stop training after being “satisfied” with their muscle development. If you’re no longer able to dedicate as much time as you did when you were building muscle mass, make it a point that you maintain the stimulation of your muscles through less frequent strength training. Suddenly quitting your training marks the decline of your muscle mass. It won’t stay there for long. Intense training can also decrease muscle mass if your body lacks the proper nutrients to repair your muscles. Intense training causes damage to muscle fibers, which will be the building grounds for myofibril, or protein muscle strands. The recovery process is a complex process that is regulated by how much the nutrients are delivered over time, and how much waste products are removed. If you’re eating right, and you have enough protein in your diet, it’s best to take blood flow supplements like NitroGenix 365 to improve your blood flow and optimize the delivery rate of supplements to your muscles. Like what we have mentioned, training damages muscles. It’s wrong to think that increasing the frequency of your training would help you build muscles always. You have to give your muscles enough time to recover before you start training again. If you over train, you put yourself at risk of rhabdo, or Rhabdomyolysis – a condition in which damaged muscles break down rapidly due to strenuous activity. 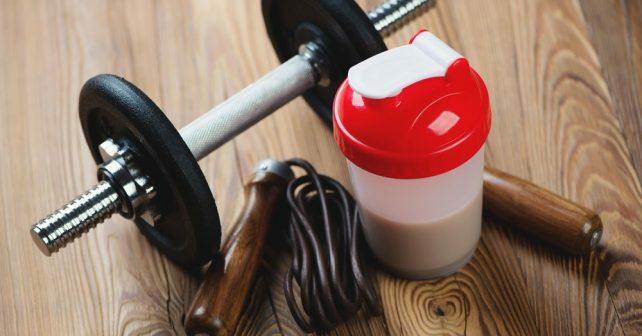 If you’re willing to put that much effort into training that you’re on the brink of overtraining, make sure that you’re taking a supplement for recovery like Deer Antler Maximum Strength and NitroGenix 365. These are the best muscle building supplements to help you speed up your recovery and increase the frequency of your training. Many people overlook the benefits of taking enough water for muscle mass development and maintenance. Your body is 60% water, and most of the nutrients that your muscles need require water to be distributed and absorbed properly by the body. Water also removes the waste products from your muscles, which improves the development and maintenance of the muscles. With ample hydration, you are avoiding the risk of muscle catabolism, which shrinks your muscle mass than to build it. Maintaining muscle mass is all about getting proper nutrition and keeping the nutrition highway clear of wastes to make room for more nutrients. Everything goes through your bloodstream, and it would be an advantage if you would be taking supplements that dilate your blood vessels to improve your blood flow. If you want to gain and maintain muscle mass the simplest way, make sure that you check out products like NitroGenix 365 and Deer Antler Maximum Strength. These are by far the best muscle building supplements to help you with strength and recovery. Push, work, and reap your rewards. That’s all there is to it.